I’m so fortunate to be able to travel and see so much of the Tibetan area’s and culture. In October I travelled to a new destination. After travelling the last two years in autumn in Kham, now Amdo was on my schedule. Amdo is one of the three traditional regions of Tibet, the other two being Ü-Tsang (now know as Tibet or TAR) and Kham. 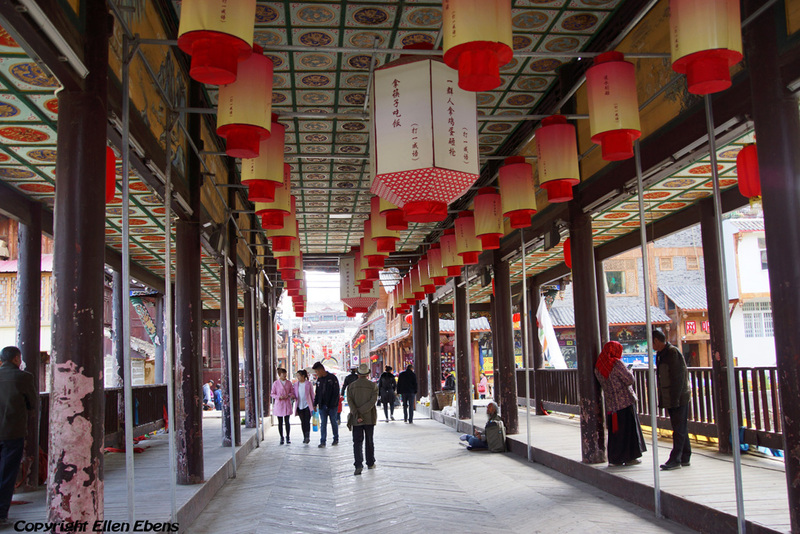 Amdo is spread out over the Chinese provinces Sichuan, Gansu and Quinhai. My trip started again in Chengdu. Chengdu is always an easy city to start my Tibetan travels because the Dutch National Airline KLM has direct flights to Chengdu. So it’s a comfortable way to start my travel. In Chengdu my Tibetan guide and driver picked me up and after a day in Chengdu my travel started. The planning was to travel around 3 weeks in Amdo. Unfortunately after almost two weeks my driver and guide had to go home unexpected and urgently. I understood completely that they had to go. I asked them to drop me off at the lovely city of Songpan with it’s old fortified centre. The surroundings there are also beautiful and there are a lot of things you can do here. I checked in at Emma’s Guesthouse with the very good restaurant Emma’s Kitchen. Emma is a very nice lady and she speaks very good English. She can arrange all kind of things for you. And the food at her restaurant is great. I also enjoyed there a very good Chinese wine. So I stayed there for about ten days and I enjoyed it there very much. I went to incredible beautiful National Parks. The one I liked most was Juizhaigou N.P. But also Huanglong N.P. 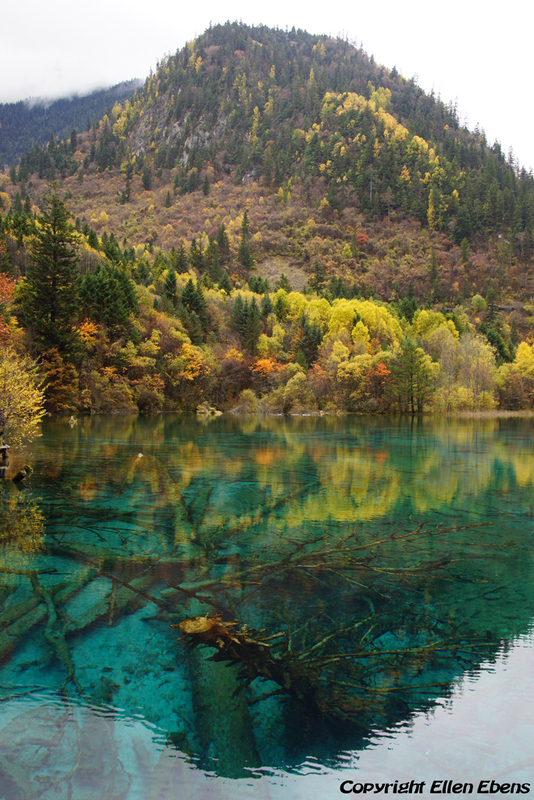 was beautiful and completely different from Jiuzhaigou. As Emma’s guest I went with her to Mounigou N.P. and had a fun day with her. 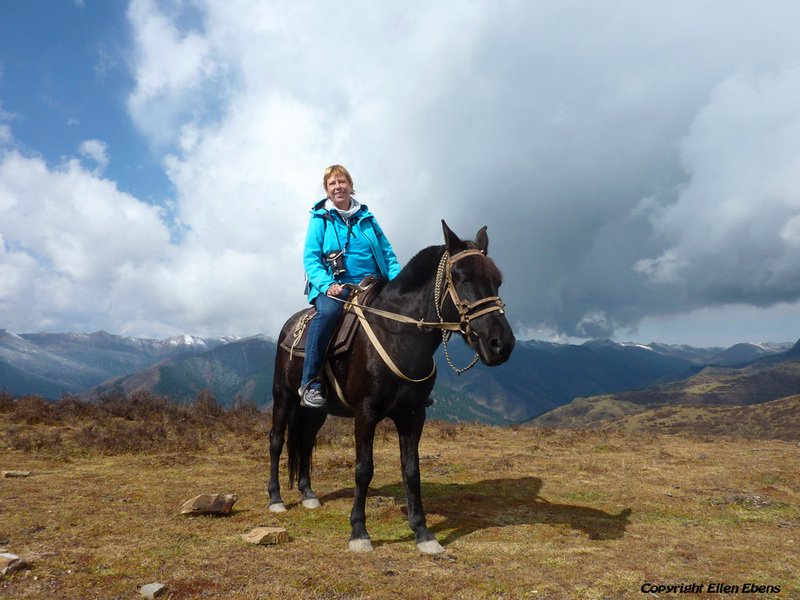 And of course I went on a horse ride in Songpan (half a day). With the horseman I went high into the mountains near Songpan and once a top an alm, I had a great view on the surrounding mountains with their white caps. One day I will return to Songpan and Emma’s! But now I will tell you about the great travel I had during the two weeks round trip in Amdo. Like in previous years my driver and guide thought of the itinerary. I just went with them and let me get surprised with everything we saw on the way. And again I saw so many beautiful places and things. Below I will give the itinerary of the travel. 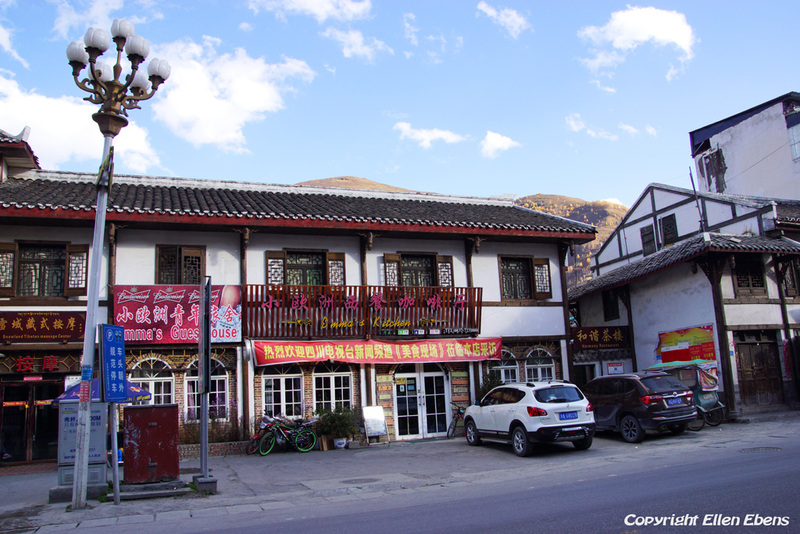 Here I will give some of the highlights of this travel in Amdo. First I went to Barkham. Barkham is a nice little town and there were no foreign tourists. It was very nice to just see how the people live there. I always like the markets in places like this because you can see there all kind of different people. 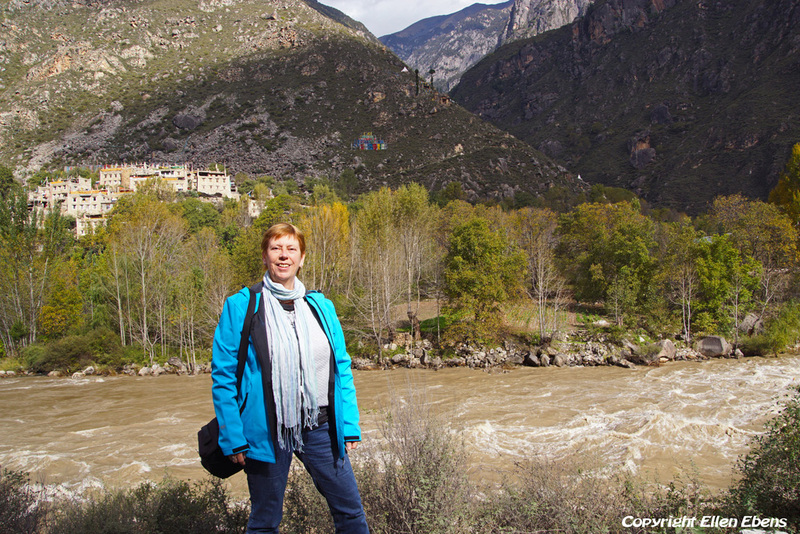 From Barkham we made a day trip to Tushe Monastery, high on the mountain near the small city of Qianzu. Also no tourist here (except me) and a lot of Tibetan pilgrims. 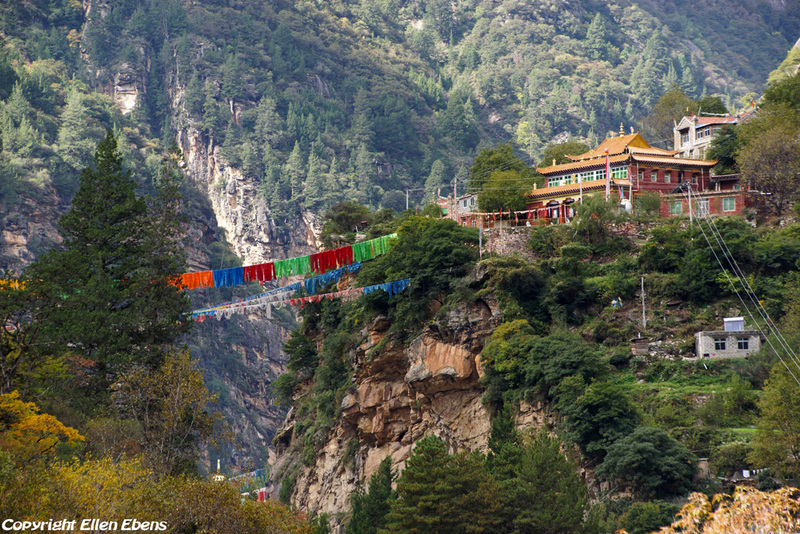 This monastery is important because it has a famous statue there of Avalokitesvara. 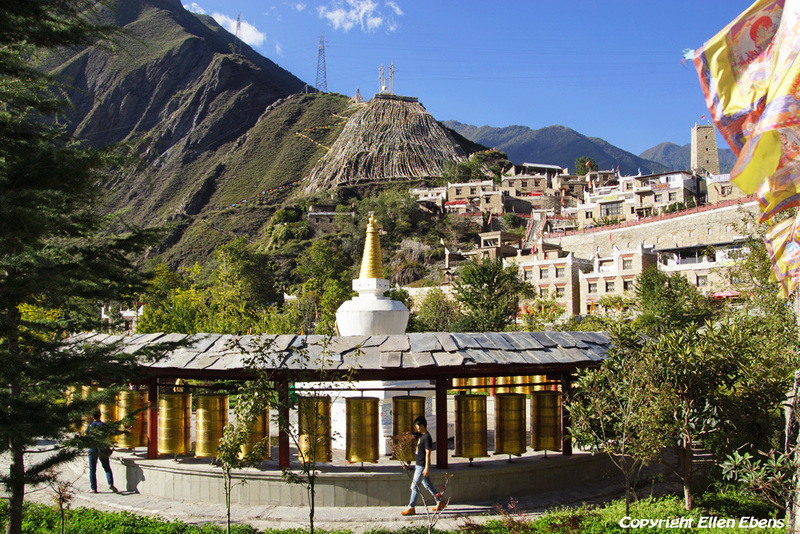 It is said the people of Amdo go first to this monastery before they go a pilgrimage to Lhasa. From Barkham we drove to the little town of Tangke. Before reaching Tanke we saw a lot of stupas and prayer flags on the left side of the road on the opposite side of the little village of Waqie. We stopped to look at this really magical place. There were so many stupas and prayer flags. I took a lot of pictures. I was told that in the past the 11th Dalai Lama and the 10th Panchen Lama also visited this place. 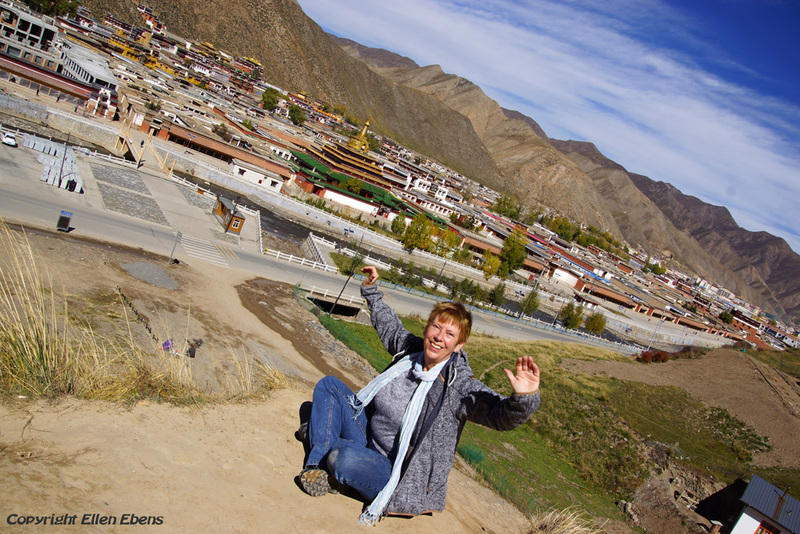 After this visit we drove to Tangke, where you find the famous nine bends of the Machu River (Yellow River). You can climb a mountain and look out over the nine bends. I did this with sunset. It was great. Only don’t expect to be there alone because you will watch it with a lot of Chinese tourists. I was there with a monk as guide. This monk is a friend of my guide and he lives in a small monastery in Tangke. When we arrived he already waited for us at his monastery with a nice lunch. Then the monk took us to the nine bends, negotiated a comfortable hotel room for a very good price for me. 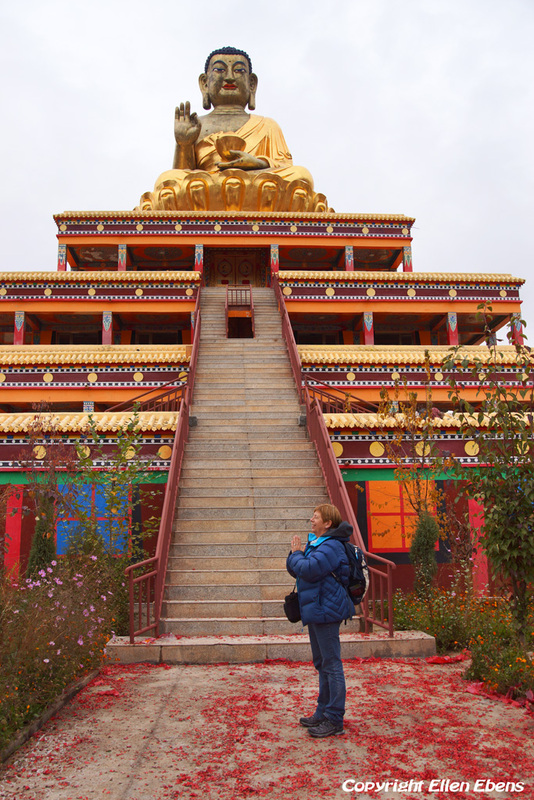 And the next day he went with us to the city of Zoige (Tongren) where he guided us around in Dagzha Monastery. At the end of that day we said goodbye to him. Stupas and prayer flags at Waqie. 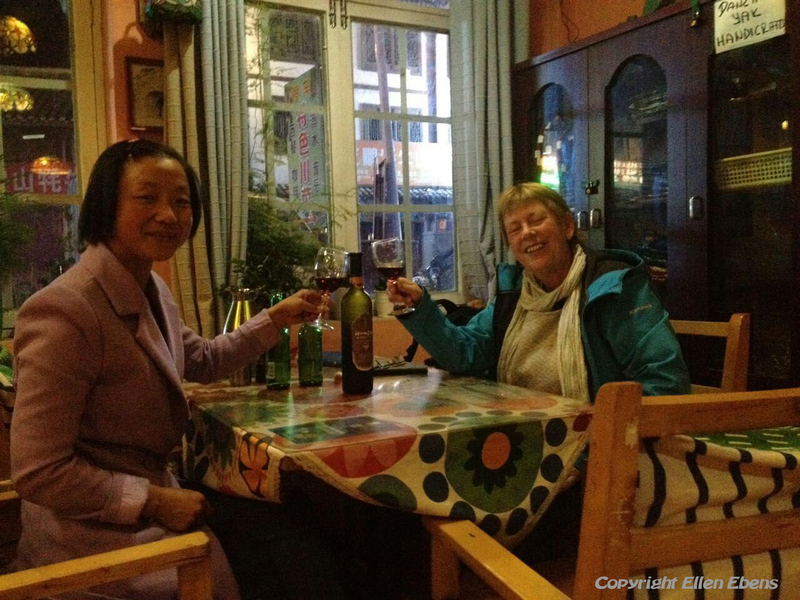 The following day we drove to Xiahe. The landscape in the area around Zoige consists of vast grasslands with the tents of nomads, a lot of yaks and sheep. It’s really nomad country. Very beautiful and wide. The morning we left Zoige the weather was not good. It had rained that night. But because of the rain, the mountains were covered with a layer of snow. It was beautiful! 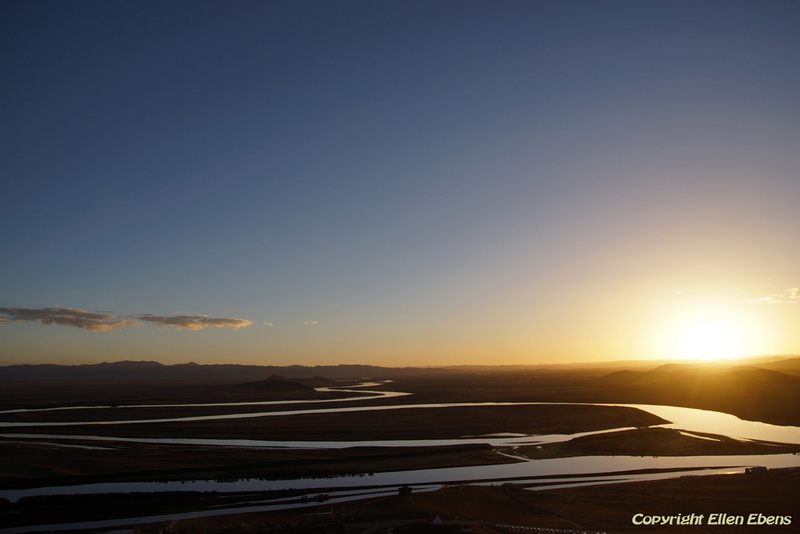 On the way to Xiahe the wetter became better and we saw sunshine again. 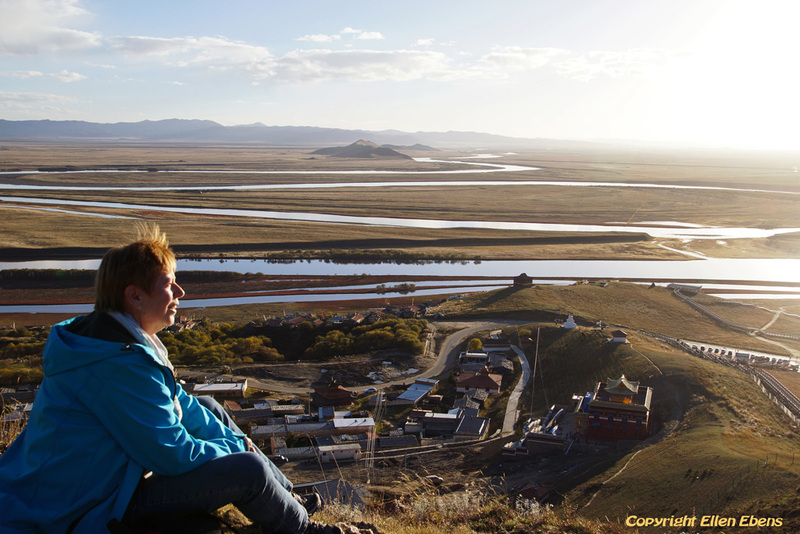 Xiahe is a well known city. Well known because of it’s big Labrang Monastery. One of the six big monasteries of Gelug school of Tibetan Buddhism. The other five big monasteries are in Tibet (in and near Lhasa / Shigatse). 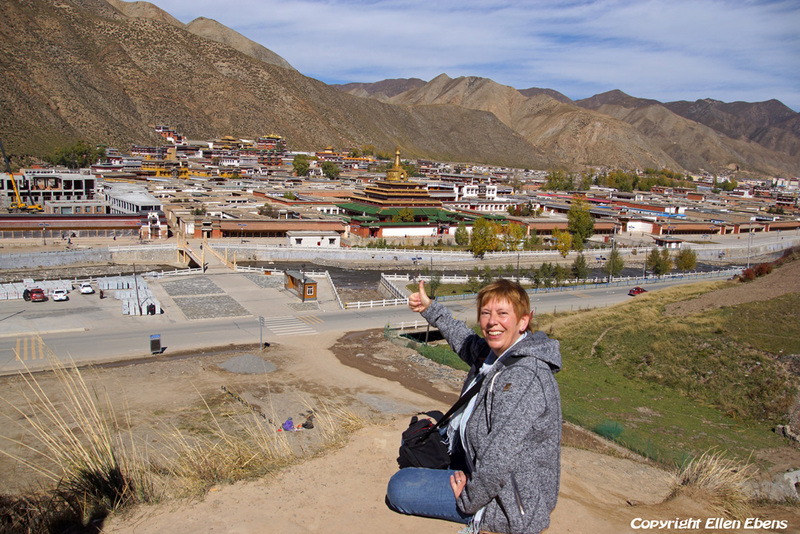 Xiahe and Labrang Monastery is also on the itinerary of many western Travel Agencies. That’s why you will see foreign tourists here. But I was there late in October and it becomes low tourist season by that time. So I saw only some foreign backpackers and one bigger foreign group. 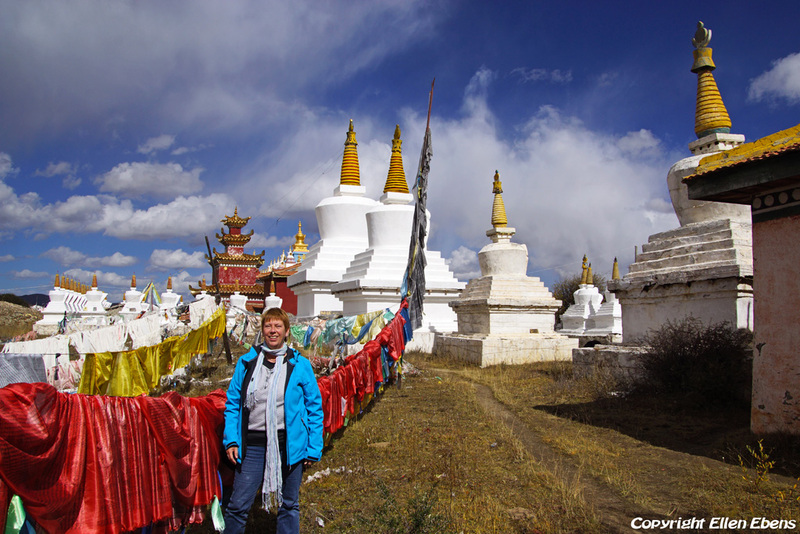 Of course we visited the Labrang Monastery. 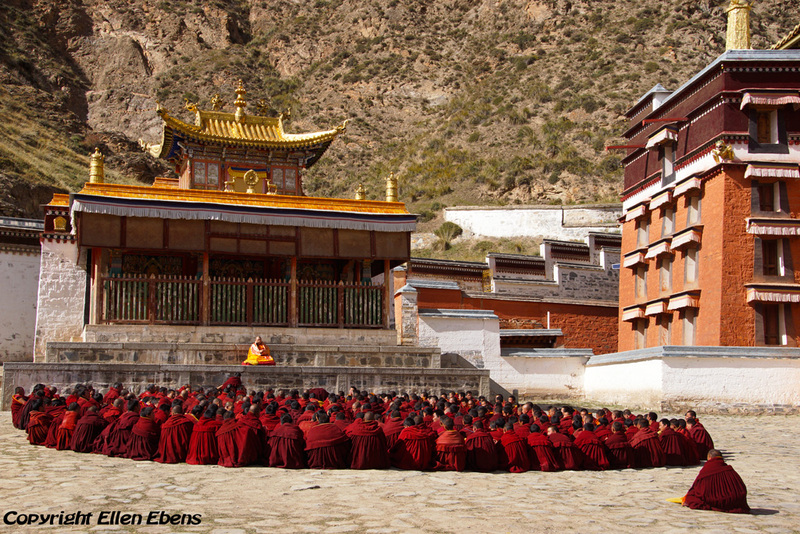 And we were lucky to be able to witness an outdoor ceremony of the monks of Labrang. After Xiahe it went on to Rebkong (Tongren). Here we visited total five monasteries. 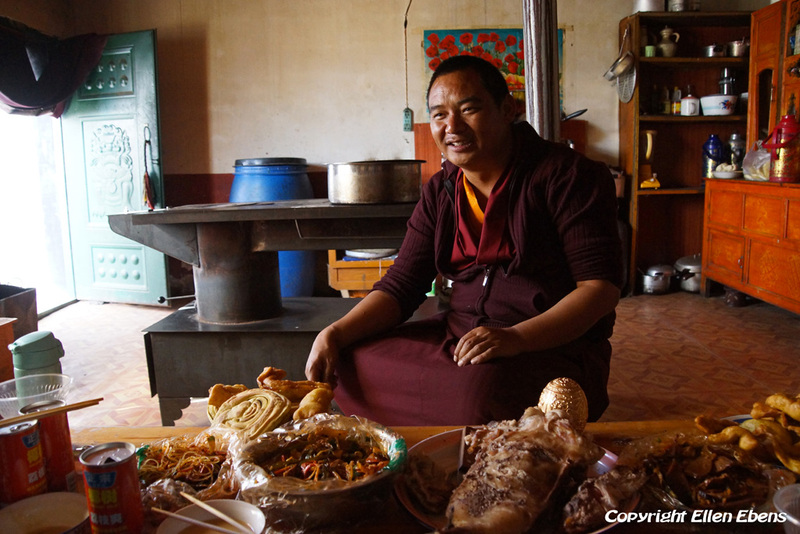 In one of the monasteries we met to my surprise the high lama, who is an uncle of my guide. Last January I visited in Sera Monastery at Lhasa a very special ceremony for this lama because of him passing the highest exams. And now he was here for some time in Rebkong in a monastery teaching. It was a very nice surprise to meet him here in Rebkong. 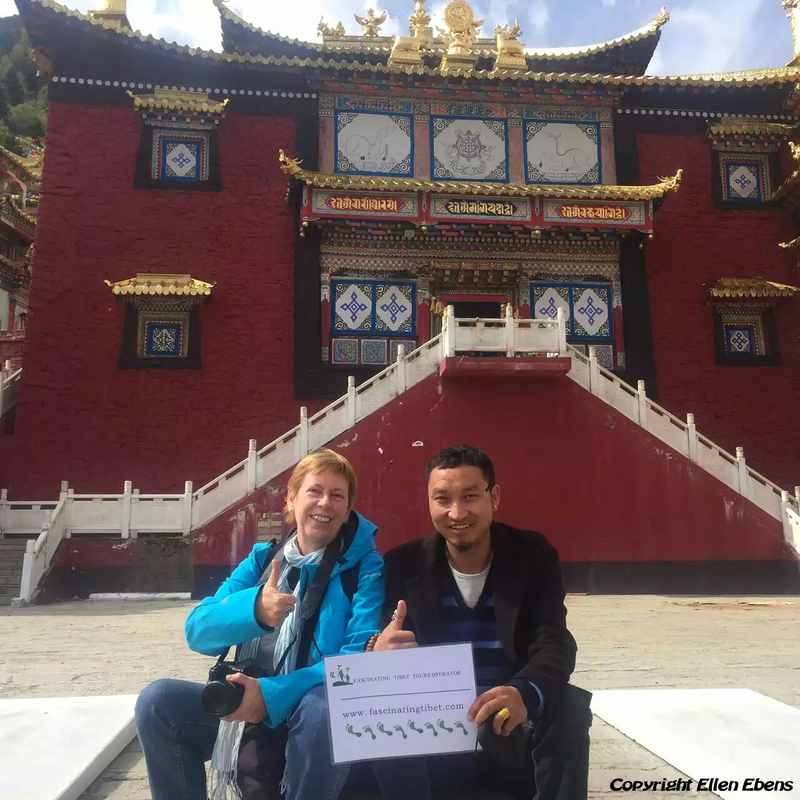 The lama sent someone with us to guide us to the birthplace of the 10th Panchen Lama in the very little village of Mari. 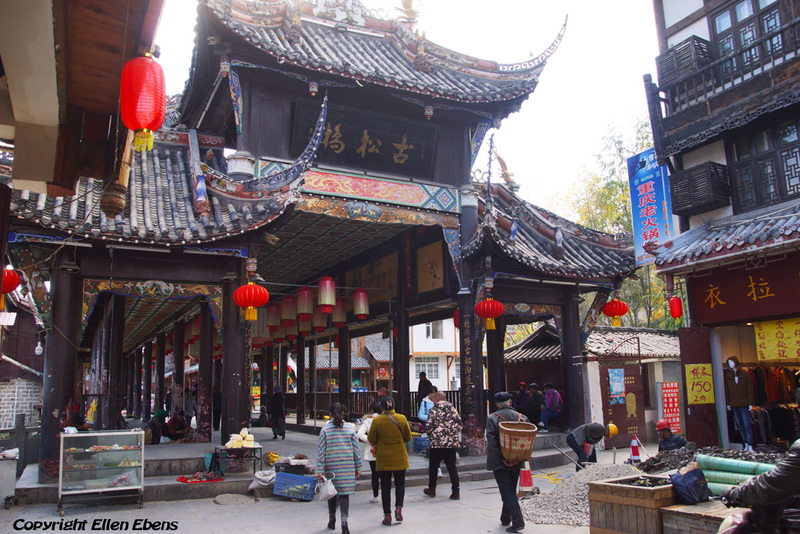 The monasteries we visited were Rgasar, Gomar, Rongwu and Wutun. The fifth monastery we visited was new and I don’t know the name of it. We stayed one night in Rebkong. At the beginning of the evening the lama sent one of his monks and a driver to our hotel to pick us up. They went with us to a very good restaurant and shouted us on a very nice dinner. After Rebkong we went to the big city of Xining. Here I was very surprised to go to a real wine bar, with al kind of very good wines from France and Italy. 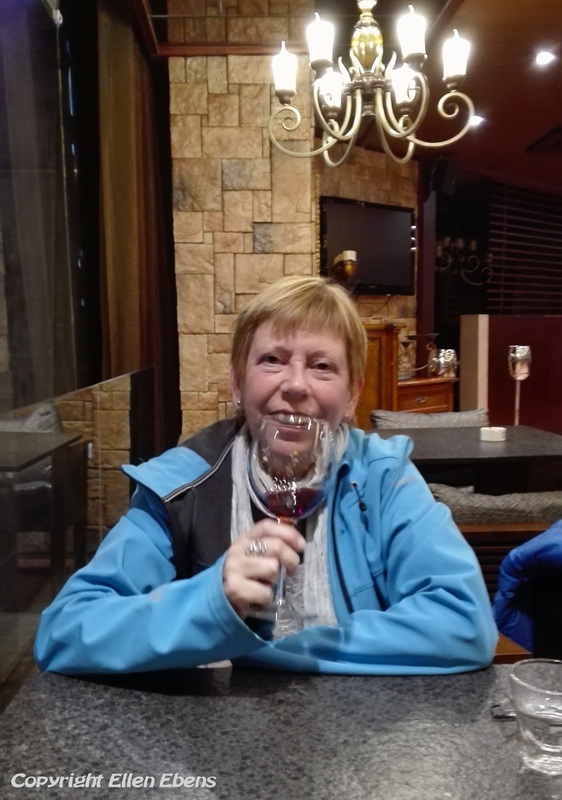 I drank a very nice Chianti Classico with my guide and driver. 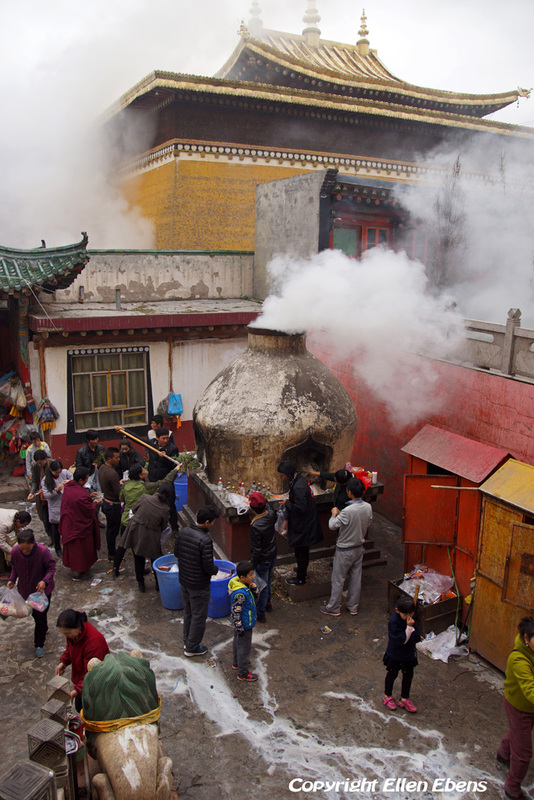 The next day the big Kumbum Monastery (Ta’er Si) was on the itinerary. It’s a big and beautiful monastery but it’s a pity it’s not allowed to take pictures inside. But we were very lucky. Because of a religious festival the monks were dancing. 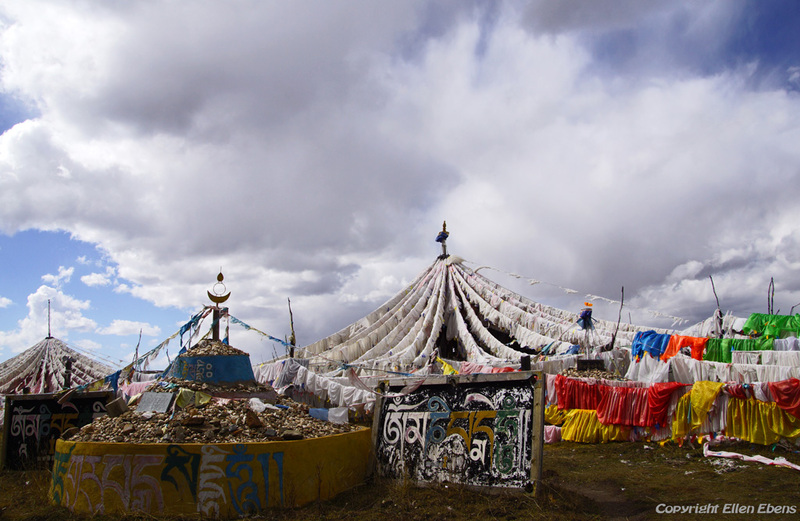 The festival was Lhabab Düchen commemorating Bhuddhas descent from heaven. The dancing was very colourful!! 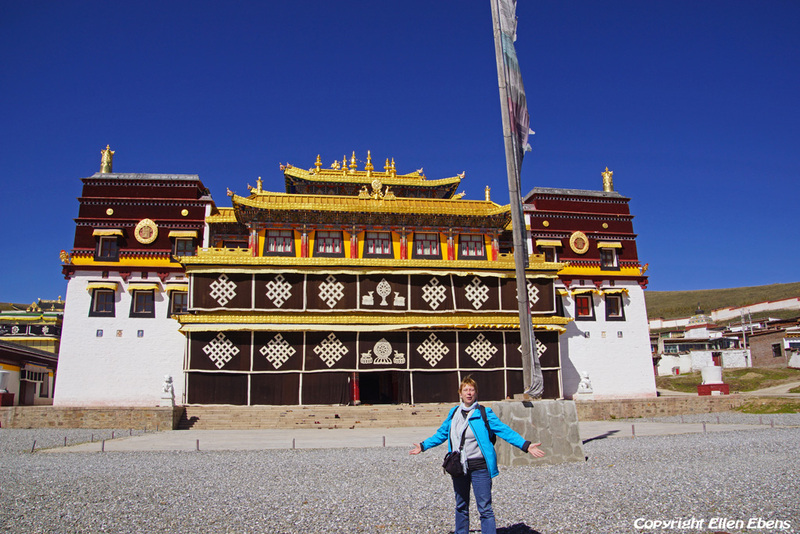 After visiting Kumbum Monastery we drove to Takster, the birth place of the present Dalai Lama. Unfortunately foreign tourist were not allowed here and so I had to stay in the car. But I have seen the village and the beautiful landscape there. The next day we drove back to Zoige and the following day I was dropped of at Songpan. After staying at Songpan I took the public transport (bus) to Chengdu. I had some days in Chengdu before I flew home again. This time I tried out the metro in Chengdu. Very modern and easy to use, because the information is also given in English. I revisited some monasteries in Chengdu, went to Peoples Park and drank lot of tea in the tea houses. I also revisited Jinsha Site Museum (I was there once before in 2012). I really can recommend visiting this museum. Jinsha Site Museum is built to protect, study and display the archaeological finds of Jinsha Site, which was discovered by archaeologists in February 2001. Jinsha Site probably dates back to about 3,000 years ago, the time from the late Shang Dynasty (17th-11th century BC) to the early Spring and Autumn Period (770 BC-476 BC). It is the core of Shang and Zhou Dynasty (17th century BC-221 BC) and the second ancient city of Shu State found. Altogether 63 sacrificial spots, 6,000 pieces of precious relics, over 70 building spots and 3 centralized cemeteries were unearthed here. More pictures of this travel will follow in my gallery. But I still need some time to work on them. I hope they can be seen on my website around March 2017. 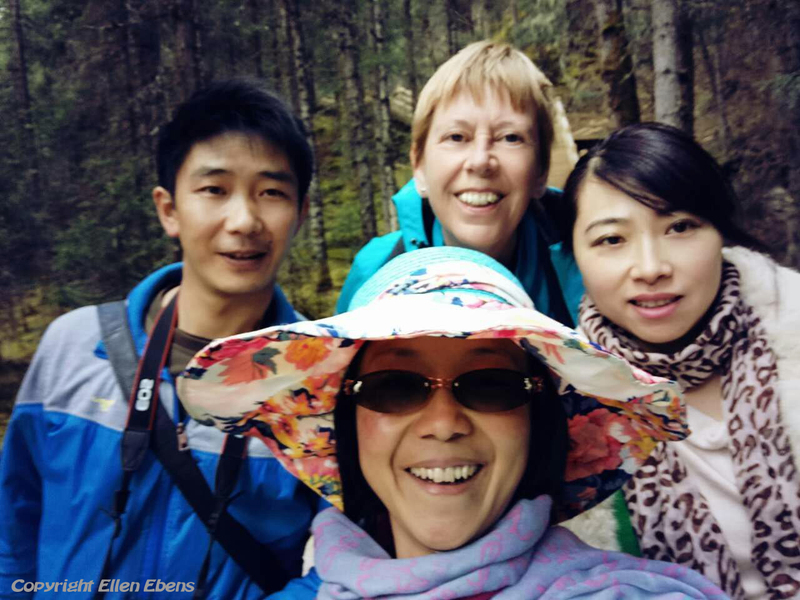 I think I was in the group you saw in Xiahe. Ik denk niet dat het jullie groep was. Als ik jullie reisblog lees, waren jullie van 14 t/m 16 oktober in Xiahe en ik was er 19 en 20 oktober. Bovendien was het geen Nederlandse groep. En ja, ik heb je video van Xiahe ook gezien.